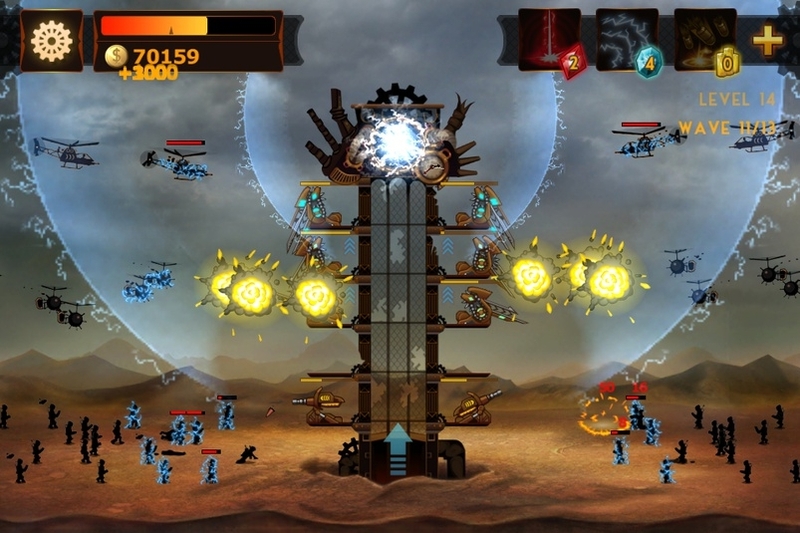 Steampunk flavored tower defense title ready for iPhones and iPads. Chillingo's quirky new tower defense game Steampunk Tower will be released on the iOS App Store this Thursday October 10th. What makes it so quirky? Well, you'll have to construct a decidedly Victorian high-tech contraption if you're to survive each of the game's 22 missions. It's probably best if you take a look at the game in action yourself. Fortunately, Chillingo's provided the video below so you can do exactly that. We'll be bringing you our review of this intriguing title later on this week.